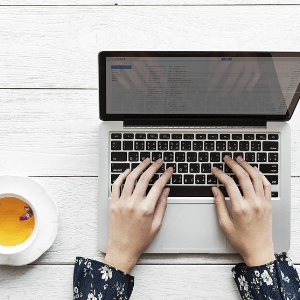 Working From Home – where do you start? Contracting and freelancing are fast becoming the choice career moves for more employees each year in the UK and it’s evident why. Being your own boss allows more flexibility and the chance for a better work/life balance. Choosing the jobs you want, and when and where you do them is also a great perk. Some might say that they choose to work from home because a relaxed atmosphere increases productivity and efficiency, while others just like to avoid office politics. There are a whole host of benefits to home working, particularly from a health and well-being point of view. •Feeling isolated. If this is a concern, take a look at our infographic for tips on how to make those all-important connections. The beauty of home working is that you can set up your space to suit your needs. You can use a spare room, convenient corner or even under the stairs – technology means workspaces can be much smaller these days, so don’t build that garden office just yet! Make sure the space is as comfortable and efficient as possible. Get suitable furniture such as a desk at the correct height and a chair, which is good for your posture. Try not to buy expensive equipment to start with – basics would be a computer, printer and scanner – you’ll soon find out what’s essential. It’s also useful to have a smartphone specifically for business, which you can set to voicemail after hours. And think carefully about colour and decor, which affect your mood more than you might think. Communication is one of the most important aspects for making homeworking a success, so reliable broadband is a must, as is making yourself contactable and available to speak during working hours. Respond to clients promptly so they know you’re on the job – they’ll want to make sure they’re getting their money’s worth after all. And don’t be tempted to slob around in your dressing gown all day either! Clients will expect exactly the same standards as someone who is office based, and ‘getting ready’ for work will put you in the right frame of mind too. Due to virtually no set-up costs, working from home is one of the cheapest ways to start a business. If you’re intending to claim expenses through your Limited Company, your home office should be adequately arranged to indicate that it’s a genuine business and not part of your normal domestic arrangements i.e. working from a dining table the family eat at every evening. It’s also not sufficient to spend a few minutes a week on admin, you actually need to be working at your home office and generating income to justify a claim. We’ll discuss more about this particular topic in our next blog, but in the meantime a good Specialist Contractor Accountant like Intouch will be able to advise on Home Office Deductions.